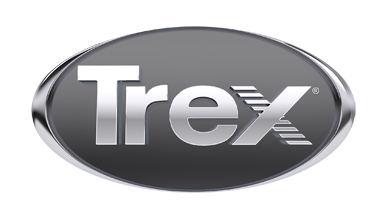 As the leader in the composite decking industry, Trex defines itself by its growth. Perhaps our most compelling evolution has come in our deck boards themselves, all of which feature different looks for different tastes. While our newer high-performance composites fight weather and age with a protective shell, our early-generation composite deck boards–products such as Trex Accents®, Trex Origins®, Trex Contours®, Trex Profiles® and Trex Brasilia®–experience a weathering process that’s completely natural. Typically 12-16 weeks after installation, an early-generation composite deck will fade to a lighter color, (see color swatches below). These decks are also susceptible to mold and mildew if certain environmental conditions exist and should be cleaned regularly with a deck cleaner. Explore the links below for detailed information on how to care for your early-generation Trex® deck. Avoid fading. Upgrade to Trex High-Performance Lines. Should you need us, we’re always available. Give us a call at 1.800.BUY.TREX, or chat with us now. Peel up the old, place down the new. It’s that easy. The ultimate upgrade with the best protection against fading & staining. The familiar look and colors of Accents now improved with our protective shell technology.